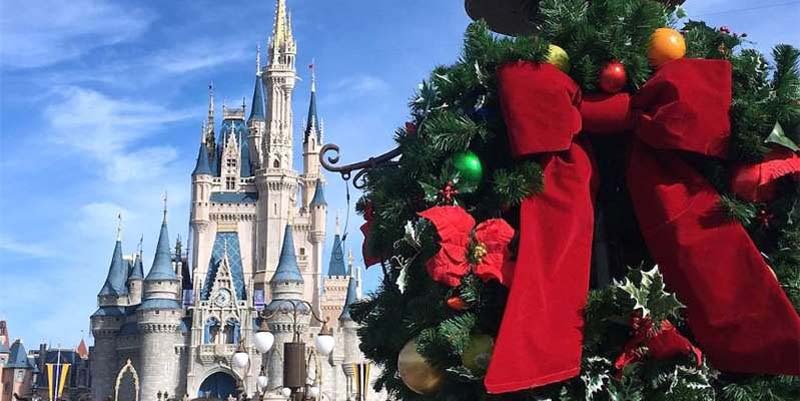 Disney World Quietly Transformed Overnight for the Holidays — See the First Pictures! © Instagram @tlmarini While you went to sleep on Halloween night, Walt Disney World employees were busy transforming the Park into a magical holiday season paradise. In just a matter of hours, they took down the pumpkins and spooky decorations, and put up Christmas trees and plenty of red. While you went to sleep on Halloween night, Walt Disney World employees were busy transforming the Park into a magical holiday season paradise. In just a matter of hours, they took down the pumpkins and spooky decorations, and put up Christmas trees and plenty of red. Holiday events will roll out in the park throughout November and December. Epcot’s International Festival of the Holidays takes place Nov. 18 to Dec. 30, and the Candlelight Processional's 50-piece orchestra and choir will be performing from Nov. 22 to Dec. 30. Disneyland will convert to the holidays on Nov. 9. But until then, you can enjoy Disney World’s incredible transformation to Christmastime. One Disney World goer said that not all of the holiday decorations are up yet, but there is holiday music playing, so it’s certainly feeling festive. We’ll be keeping our eye out for more decorations in the park, as well as new themed treats that are sure to come! And just like that it’s Christmas! We were in the park last night until 1:30am and went back this morning at opening and it’s all festive!! It’s not fully decorated yet but holiday music is back and I am all for it!! U.S. Daily News: Disney World Quietly Transformed Overnight for the Holidays — See the First Pictures!